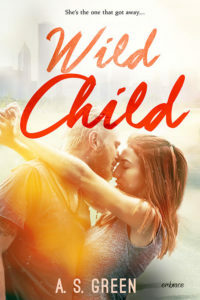 WILD CHILD by A.S. Green - Joelle Delbourgo Associates, Inc. When my assistant bails, Natalie jumps at the chance to get off her tiny island. Now we’re stuck criss-crossing the country in my SUV, with her tantalizing scent filling the cab and her smart mouth making me very…uncomfortable.